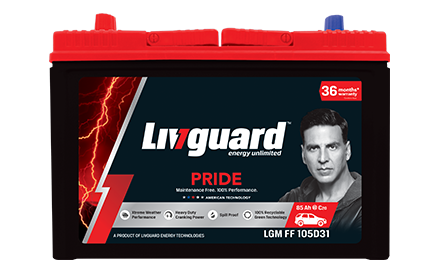 Livguard Pride LGM FF 105D31L battery is engineered to suit all SUVs, mid-sized and large sedans. The internal structure is designed using latest technology that provides more power and reserve capacity to the battery making it reliable, consistent and truly maintenance-free. 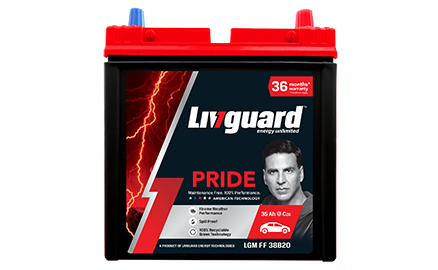 Livguard Pride LGM FF 38B20-P L battery is engineered to suit all SUVs, mid-sized and large sedans. The internal structure is designed using latest technology that provides more power and reserve capacity to the battery making it reliable, consistent and truly maintenance-free. 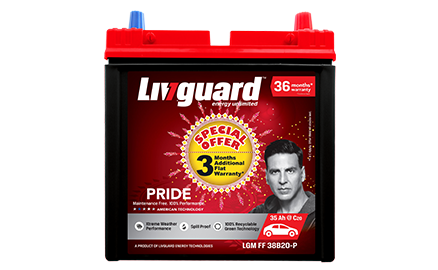 Livguard Pride LGM FF 38B20-P R battery is engineered to suit all SUVs, mid-sized and large sedans. The internal structure is designed using latest technology that provides more power and reserve capacity to the battery making it reliable, consistent and truly maintenance-free. 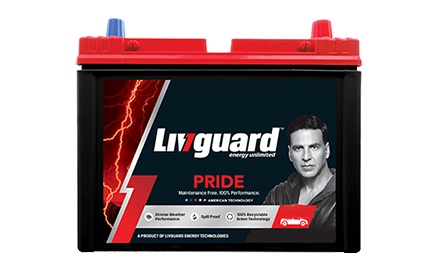 Livguard Pride LGM FF 70D26L battery is engineered to suit all SUVs, mid-sized and large sedans. The internal structure is designed using latest technology that provides more power and reserve capacity to the battery making it reliable, consistent and truly maintenance-free. 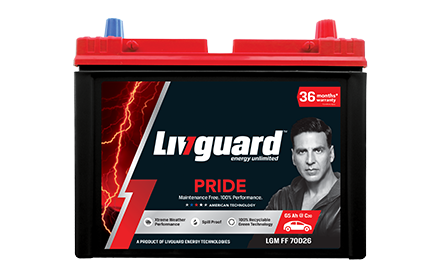 Livguard Pride LGM FF 70D26R battery is engineered to suit all SUVs, mid-sized and large sedans. The internal structure is designed using latest technology that provides more power and reserve capacity to the battery making it reliable, consistent and truly maintenance-free.